I happen to be using blue lotus when the instructions told me to use a 'herb of my choice' in the real alchemy book. I've always removed as much of plant mass as I could. Though there are sediments left unfortunately which can only be removed through 'filtering'. The 'bits' are etchings of some kind left behind on the glass and are not actually floating in the alcohol at all. Lid is metal but is screwed on a thick layer of plastic wrap. It turns out the liquid for this herb was a dark-yellowish color (Mainly because of some sediments left) once extracted into the oil of tartar. The above is the reflection or something I think, not sure because it 'looks clear' from below. I hope I didn't do anything wrong. In a standard vodka tincture the liquid looks yellow from this plant. I am using 95% pure alcohol (Rectified Polish Pure Spirit) and only just started it today in the 2nd hour of the moon on Monday which is today here. I 'decanted' the oil of tartar with the extract in it originally using a plastic pipette. Last edited by KnowledgeSeeker; 07-09-2018 at 06:37 AM. are you using the leaves of the lotus plant or the flower petals? Normally the leaves are never sold I think. Also made a vodka tincture at the same time using it (Which I haven't added the salt aspect yet to). The "ens melissa" recipe is meant for herbs, and typically used in that application. That said, I'm interested to see where this goes. Most flower petals are mucilinigious and will create very different results, even in tinctures as you may have noticed. I did a hibiscus in alcohol and it never darkened. It's still sitting in a drawer somewhere, I never carried my tincture farther, or even drew it off. That milky coloring is about what I would expect. 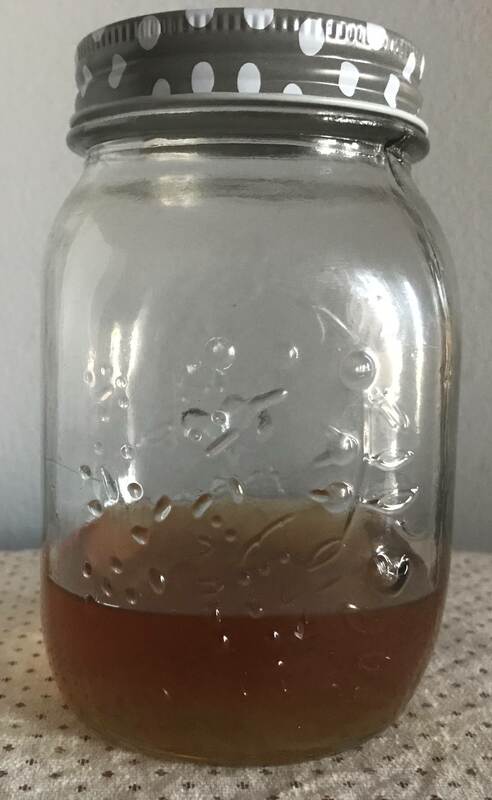 Do you have a picture of your tincture for reference by chance? Yeah I think this one has no sediments at all. Last edited by KnowledgeSeeker; 07-09-2018 at 07:42 AM. Just hoping I don't unwittingly make a poison or anything with the ens one. I saw sources talk about you creating a poison if plant mass is not removed first or something and if there is still water in the alcohol. Here is an apparently more "complete" Ens process. It can be found in RAMS as well. In the proper season of the year, when the herb is at its full growth, and, consequently, its juices in their whole vigor, gather at the fittest time of the day (when Jupiter is rising and the Moon in Cancer is applying to a conjunction, sextile or trine aspect thereto), a sufficient quantity of Balm, wipe it clean and pick it; then put it in a stone mortar, and by laborious beating, reduce it into a thin pap. Take this glutinous substance and put it into a bolt head, which is to be hermetically sealed, place it in a dunghill or gentle heat equivalent thereto, where it must digest for forty days. When it is taken out, the matter will appear clearer than ever, and have a quicker scent. Then, separate the grosser parts, which however are not to be thrown away. Put this liquid in a gentle bath so that the remaining gross particles may perfectly subside. In the meantime, dry and calcine the grosser parts (which remained after the above separation) and extract their fixed Salt, which is to be joined to the liquor when filtrated. Next, take sea Salt, well purified, melt it and by setting it in a cold place, it will dissolve in the humidity of night air and become clear and limpid. Take of both Liquors and mix them thoroughly, and having hermetically sealed them in a proper glass, let them be carefully exposed to the sun, in the warmest season of the year for about six weeks. At the end of this space, the Primum ENS of the balm will appear swimming at the top like a bright green oil, which is to be carefully separated and then preserved. Of this oil, a few drops taken in a glass of wine for several days together, will bring to pass those wonders that are reported of the Countess of Desmond and others; for it will entirely change the juices of the human body, reviving the decaying frame of life and restoring the spirits of long lost youth. The author who records this curious discovery remarks: “If after the medicine is thus prepared, if any doubt be had of its efficacy, or of its manner of operation, let a few drops be given every day on raw meat to any old dog or cat, and in less than a fortnight, by the changing of their coats and other incontestable changes, the virtue of this preparation will sufficiently appear. Sometimes, 'joined' implies more than merely dissolving the salt in the liquor, but rather first make the salt 'spiritual' and only afterwards make the salt & the liquor into ONE inseparable entity. I'm not saying this is necessarily the case with this specific process, as I haven't performed it, but obscuring/omitting this detail (among others) is often common in Alchemical 'recipes'. In any case, I think it can be a good idea to compare and cross-reference different texts dealing with the so-called "Alkahest" (Universal or Vegetable), such as from Van Helmont, Urbigerus, Paracelsus, Royal Society, etc - to get a wider perspective, as one text reveals what another conceals, etc... Also Artephius and the ICH/Cyliani lineage mention an Oil (the Philosophical Sulfur) floating/swimming on top (at the end of the Second Rotation), by means of the Ph. Mercury obtained at the end of the First Rotation. I'm also posting the following article by Rubellus Petrinus, which is his 'Primum Ens' variation. Although it is still not a truly Alchemical First Being, it is somewhat closer to the 'real thing' than the commonly known extraction. A genuine First Being, able to perform all the miraculous healing actions we read about, can IMSU only be obtained via a similarly genuine, alchemical, inseparably united with itself "Alkahest". Alchemically speaking, the First Being/Primus Ens of a matter, be it of Gold or of any other matter from the 3 Kingdoms, is comparable to the 'Philosophical Sulfur', often mentioned in Alchemical writings. This 'Philosophical Sulfur' is often deemed 'second only to the completed stone' of the specific reign (or the Universal) - hence its remarkable properties and healing effects. WHAT DISTINGUISHES A VEGETABLE TINCTURE FROM THE " PRIMUM ENS "
"The Preparation of So-Called Primum ENS Melissae" in the A Compendium Of Alchemical Processes published by Kessinger Publishing Company, USA, page 100, author unknown, describes a preparation of a vulgar tincture of Melissa made with tartar oil as the first solvent and later with the spirit of wine. This is not a First Being. This tincture of Melissa cannot even be considered as spagyric, because a spagyric tincture must have the three "fundamental beginnings" of the plant, Sulfur, Mercury and Salt. In the recipe given, only Sulfur and Mercury are present. Therefore, it is just a vulgar tincture, as referred to in old medicine books and not a "PRIMUM ENS". The recipe calls for dissolving first the plant in tartar oil and later carefully pouring on spirit of wine, which will extract the tincture from the tartar oil. The alcohol will float on top of the denser tartar oil. This extraction process is performed until the alcohol ceases to be colored. Macerate the fresh plant with pure cold 60% spirit of wine. Other alcohols are not desirable. 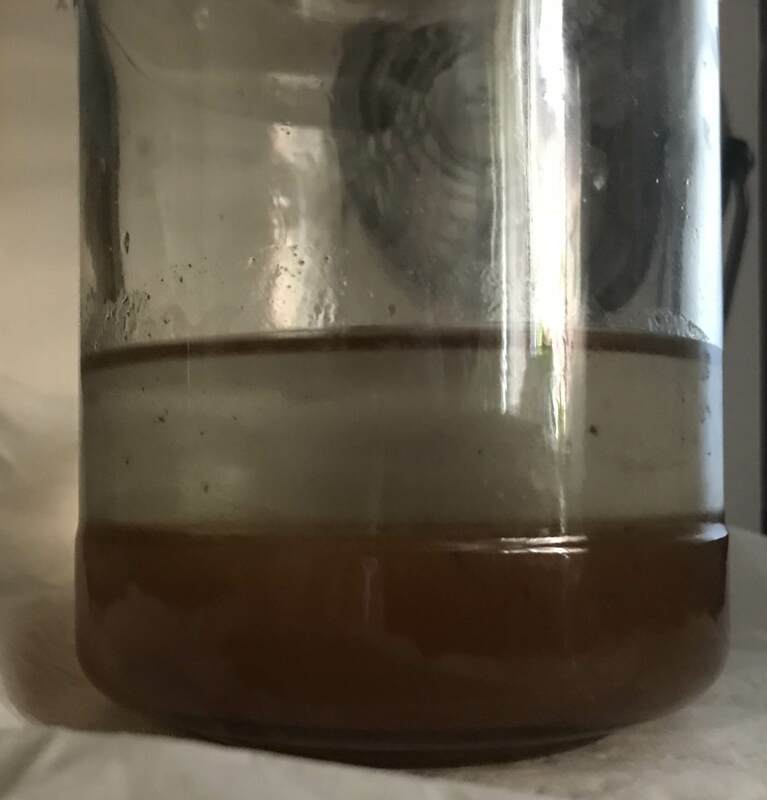 After some days of maceration (at least 10) in a close large mouth glass flask, filter the tincture into another flask and incinerate the residue. Extract the ashes. Calcine the extracted material and while still hot, pour it into the tincture. Circulate and then filter. The tincture is now ready for use. A repeated calcination, circulation and filtering can also be performed, if desired. Distill a mixture of the fresh plant and at least 60% spirit of wine. The distillation will drag the Sulfur of the plant along with the spirit of wine. Calcine the residue of the distillation, and extract the ashes. Join the leached Salt to the distillate. Circulate as above. What then, is the difference between the genuine spagyric tincture, the distilled vegetable and the First Being? After you have made your spagyric tincture of Melissa, pour it into a Pyrex glass retort with a ground glass beak and a vented receiving flask. Distil to dryness with a gentle heat that doesn't surpass 80 degrees C.
The distilled will be an inseparable mixture of Sulfur and Mercury remaining a "honey" in the bottom of the retort. Pour this thick "honey" into a small stainless steel pan and calcine well, until the ashes are of a clear white color. Leach them and coagulate. What will find in the coagulation? The "raw" Salt of the plant this is potassium carbonate. Follow the same procedure with the distilled vegetable tincture. This won't leave a "honey" like the spagyric tincture but the Salt, which is impure, can be calcined, leached, filtered and coagulated. What will you have then? Just the "raw" Salt as in the previous case. Why? The Salt was not "volatilized" and was just dissolved in the water contained in the spirit of wine at 60% and, thus, it cannot unite to the other two "beginnings". It is easy to see that this way will never have the three "beginnings" united, as they must be in a First Being. In the preparations described only two of the three beginnings are united: the Sulfur and the Mercury. The Salt continues "raw", therefore it cannot unite to the other two ones. These preparations can never be considered a First Being, but just a tincture and a spagyric distilled Melissa. How then can a Melissa preparation be considered a First Being? The three "beginnings" Sulfur, Mercury and Salt are united. It is necessary to volatilize the Salt so that it can unite inseparably to the other two. This is the "key". If you distil in a retort with a gentle temperature, a First Being of Melissa, the Sulfur and the Mercury first indissolubly united just as in the tincture will drag with it some volatile Salt, and, instead of being in the bottom of the retort as a "Caput Mortum", it will be partly volatilized as "ice" in the upper walls of the retort and in its throat. Pour some spirit of wine into the retort and distil with gentle fire to drag the "ice" into the receiver where the three "beginnings" will be indissolubly united forever. To conclude, the secret of the First Being it is the Salt Volatilization by the Sulfur and then to join it the Mercury. This is a true " PRIMUM ENS ". For an update: The alcohol at the top today I found now has a slight yellow tint to it. Its still clear but this is the beginning I'm guessing. As far as I know, in this ens process you will pull off a clear (as in transparent) fluid as opposed to an opaque one. The yellow coloring could either be indicative of a low strength "reddish," or it could be from using flower petals. There's a specific process that causes leaves to turn yellow and red, which isn't found in flower petals. The "red oil" that the ens process produces in the melissa ens is probably related to that process, as it "putrefies" in the angel water, and the red is then extracted into the alcohol. Either way, you should arrive at the proper product for your ingredient. I say let it go a while longer though, and keep track of changes, since you are in new territory. Even a full tincture in my case never "darkened" like a normal tincture from a hibiscus flower. Yellow might be what you are after here. Is this lotus a dangerous one, or generally safe in its natural state?